The portepee consists of; a flat strap, interwoven slide, metal alloy based stem, crown and ball. 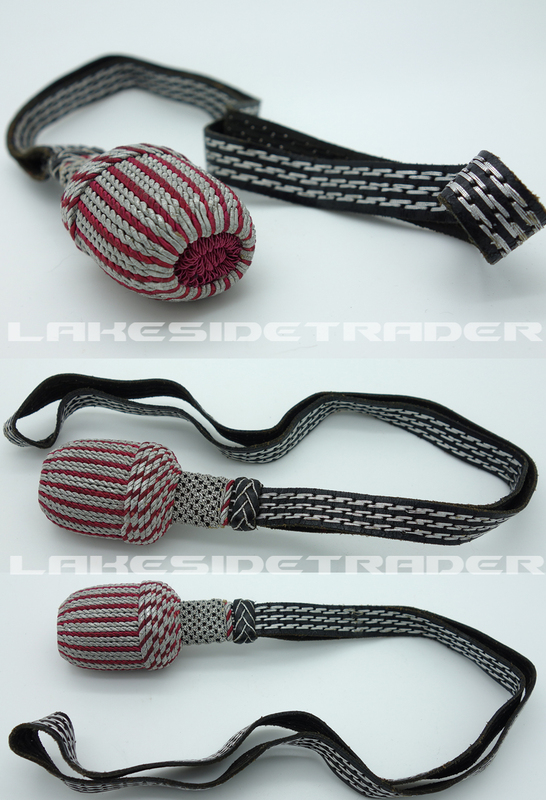 The portepee is wood based and wrapped in twisted silver bullion and red rayon threads. The stem is covered in a meshed silver which reveals the metal alloy base. The slide and strap are made of blackened leather with stitched in bullion thread. The bottom has a flat recessed hole that has a red twisted rayon plug. The leather is in wonderful shape and the threads retain a nice color! Very hard to find a nice one anymore!